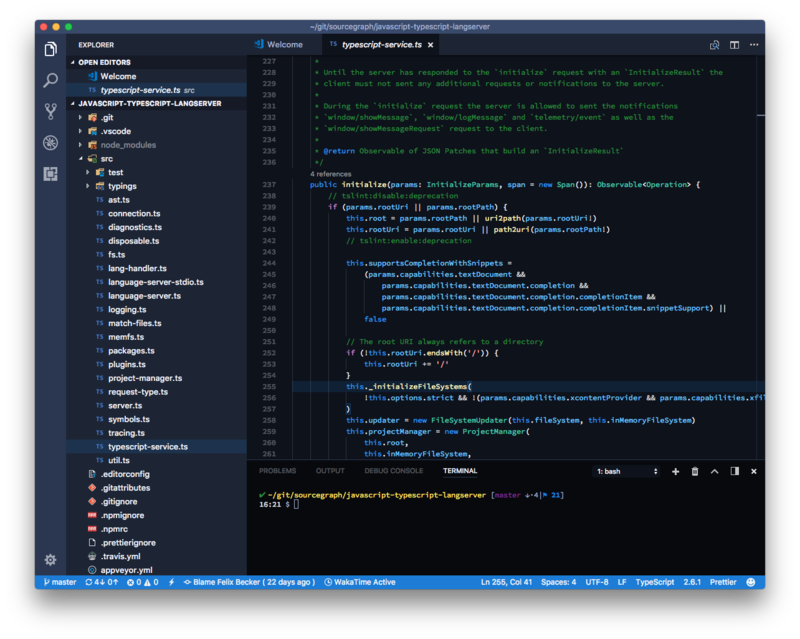 Visual Studio Code>Themes>Sourcegraph ThemeNew to Visual Studio Code? Get it now. Then reload VS Code and you should see the Sourcegraph Theme in the extensions list. You can now select the "Sourcegraph Dark" theme in the list that appears when you run the Preferences: Color Theme action.